Is this Scotland’s most accessible roadside diner? A pit stop for hillwalkers and road-trippers, Tyndrum is a tiny Scottish village that leads to Oban in the west and Glen Coe in the north. 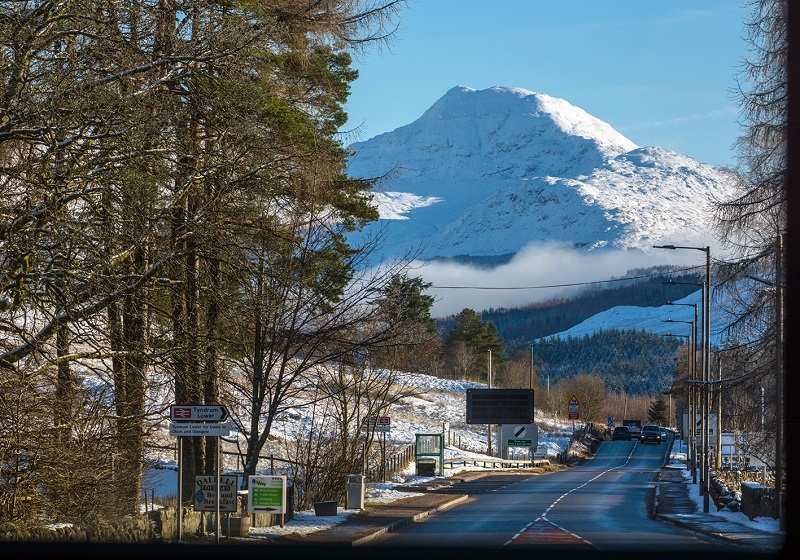 A stretch of road with a petrol station, a mini-market and a few roadside diners is where you’ll find the hustle and bustle of Tyndrum, and one of these diners is on a mission to make it Scotland’s most accessible village. The Real Food Café is more than just a diner, it’s a place to rest and recharge before setting off on a Scottish adventure. With powerchair charging points, large print menus and water bowls for assistance dogs, you can tell someone has thought carefully about its disabled access. That person is Sarah, the café’s founder and director. 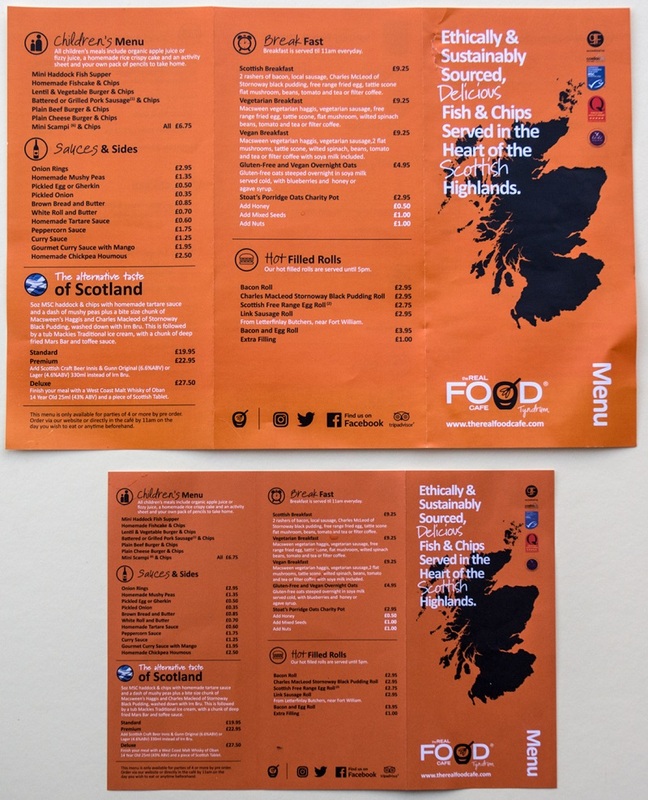 The Real Food Café, Tyndrum, is situated on the A82 halfway between Glasgow and Fort William, which makes it an ideal stopping point to break journeys for refreshments, the loo or to walk your dog. The café opened in 2005 on the site of a derelict former Little Chef. From the outset the idea was to create a roadside diner that not only served great quality favourites such as award-winning fish and chips, delicious coffee and home baking, but was above all a really welcoming and inclusive environment for everyone. We didn’t just want to pay lip service to our goal, we wanted to action and live it. To be honest at the time, we didn’t understand a lot about accessibility for disabled people and getting a business off the ground is a huge challenge in itself, so this was our initial focus. We were juggling a lot of balls and fighting fires as we encountered many unexpected setbacks in our efforts to get the business established. Fourteen years on, we are now in a position where we can work on our service to disabled customers and thus we are actively engaging with the disabled community, for example through Euan’s Guide and Disabled Access Day. Disabled access is still a learning curve for us, but the game changer came when my father developed a neurological illness, PSP and we cared for him at home with all the associated impact this had on our lives. To say it was eye-opening is an understatement. Happily, the café today is immensely popular and while we operate a no bookings rule, we make an exception for disabled customers. During high season and at weekends we recommend that disabled customers book ahead by emailing info@therealfoodcafe.com, sending a private Facebook message or by phoning 01838 400235. The most important step we have taken on our accessibility journey is with our team and ensuring that every team member has passed the VisitScotland Accessible Tourist Customer Service Training course. This step is crucial because if your team are confident in talking to and helping disabled customers, then you have a base to build on. Photo: A new large print menu beside the standard-sized menu. The next step for us is training several of our team in basic sign language with BSL courses and this should be achieved by the end of summer 2019, so we will be able to communicate better with our deaf customers. My vision is to make Tyndrum the most accessible destination in Scotland. We don’t have a Changing Places toilet in Tyndrum yet, but we are working trying to acquire some land and funding to build one. Have you been to The Real Food Café? If you’ve stopped at The Real Food Café for fish ‘n’ chips, some cake or just a cup of tea, tell us what you thought of its accessibility! Add a review to Euan’s Guide.